International postage rates for packages has changed again. I will contact you with the additional charges if needed. These 4 ounce and 1 lb sizes are currently are in stock. We do our best to keep them in Stock! 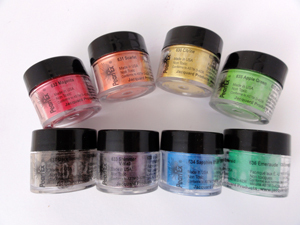 8 Pearlex Powder new colors (3 gm shown) Now available.